What’s the best food for birds? The simple answer is seeds. Apart from the simple answer, however, we can get in some details. Most birds adore sunflower seeds. Some like peanuts and walnuts, some like nyjer and millet. You can lure some species to your garden by offering them live food (mealworms and wax worms). If you don’t want to create mixes on your own, it’s possible to buy pre-packaged bird feeder foods. Always take a look at the label to get a better idea about the composition. Knowing what’s in the food will make it easier for you to attract certain species to the garden. 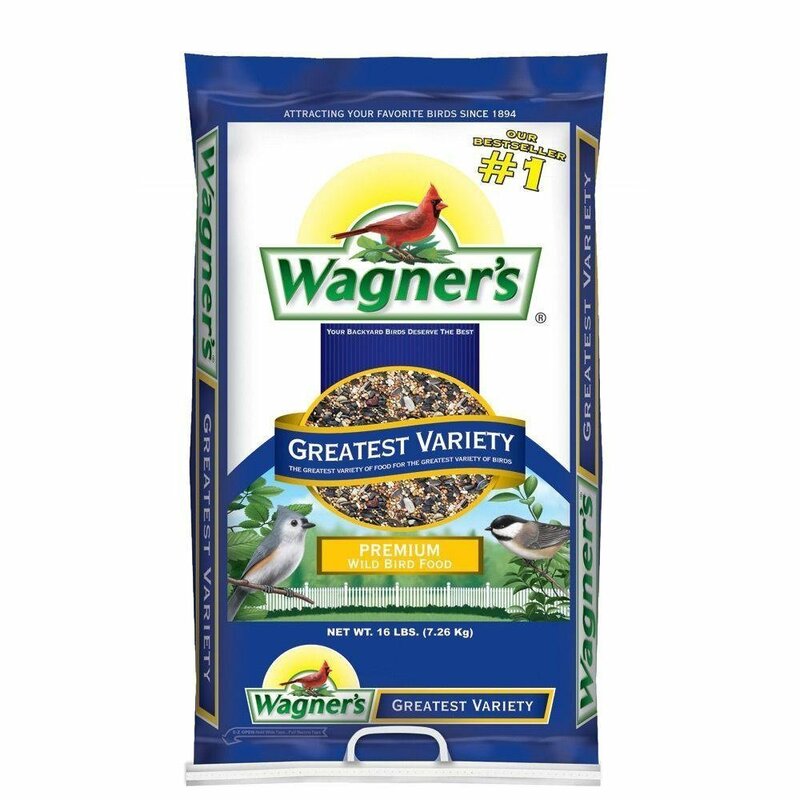 All Wagner’s bird feeder foods are best-sellers because of the quality, the variety and the affordable price. Wagner’s 62059 is a blend of 12 different ingredients. Sunflower seeds compose the bulk of the product, which is why it can be used to attract many different species. The product is made in theUS and some of the other ingredients include white millet, cracked corn, peanut kernels, nyjer seed and safflower seeds. 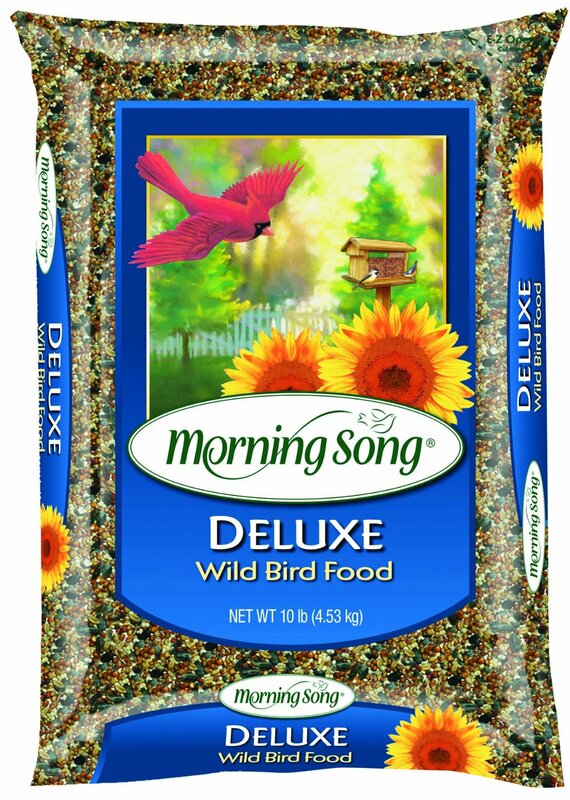 These seeds are favorites of birds like jays, cardinals, chickadees, grosbeaks, juncos, finches and several others. Wagner’s 62059 is suitable for use in a platform feeder, tube or hopper. The bag measures 16 pounds and it will be sufficient for a relatively long period of time. Kaytee is another popular name that most wild bird enthusiasts are familiar with. 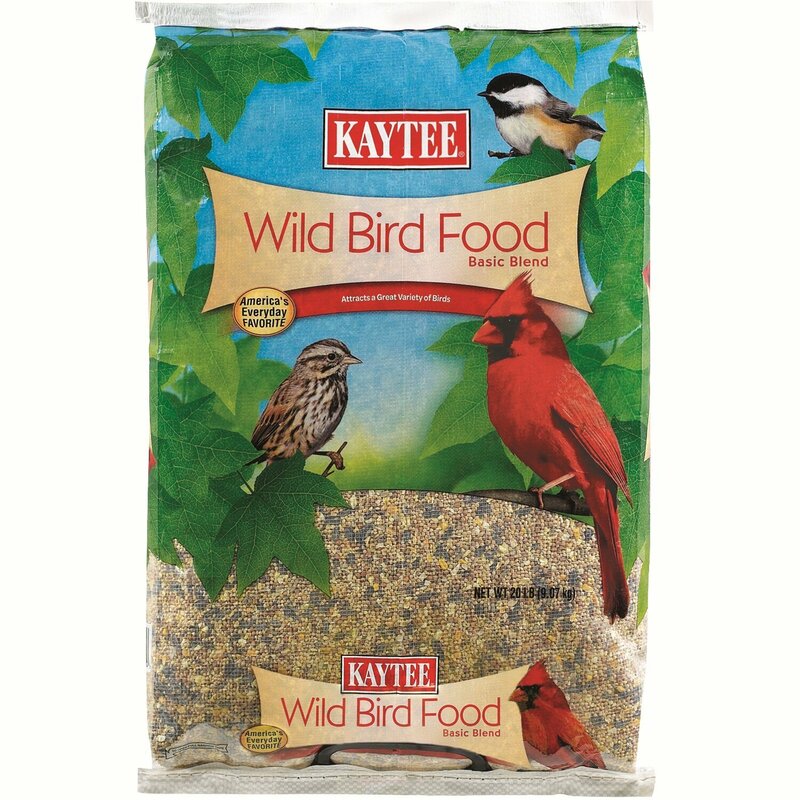 This particular Kaytee wild bird food features the standard black oil sunflower seeds and millet, milo, cracked corn and wheat. Vitamins and supplements are added to fortify the formula even further. Kaytee bird feeder products are made in theUS and there are many varieties to choose among. 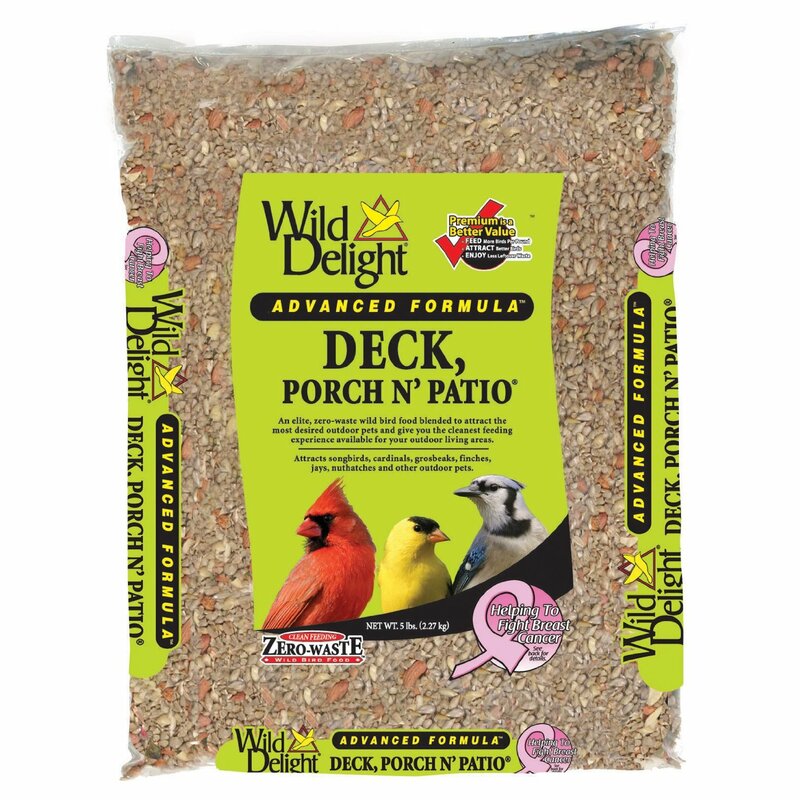 This particular product is defined as a basic blend that can be used to attract a wide array of wild bird species to the backyard. The seeds are placed in a barrier packaging bag that seals to maximize freshness. What’s deluxe about Morning Song 1015157? It contains a bigger amount of high quality sunflower seeds and the formula also features safflower. The quantity of millet is also higher than in other food blends manufactured by the same company. It’s a 40-pound bag, which results in an optimal price to quality ratio. This is just one of the products in the Morning Song range. The company also has a specialized bird watcher’s blend, food packs suitable for year-round use, a specialized blend for cardinals, a nut and fruit mix, a blend for finches and single seed products. This food blend is a bit more specific and advanced (the name says it all) than the other products already listed. Wild Delight 374050 is a five-pound bag of premium nuts and seeds. Some of the ingredients include sunflower seeds, pistachios and other cleaned seeds for zero waste. Since the waste is minimal, the need for feeder cleaning is also reduced. The formula is enriched with vitamins, mineral, electrolytes and amino acids. These are particularly important and beneficial for migrating bird species. All of the foods manufactured by the company are sterilized to ensure quality. 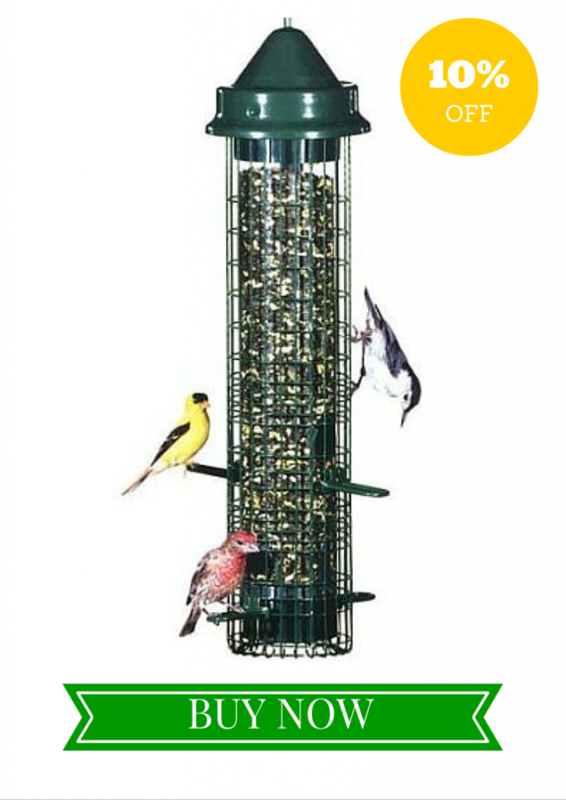 Fruits and shell-free nuts are included in the formula of this high energy bird feeder food. 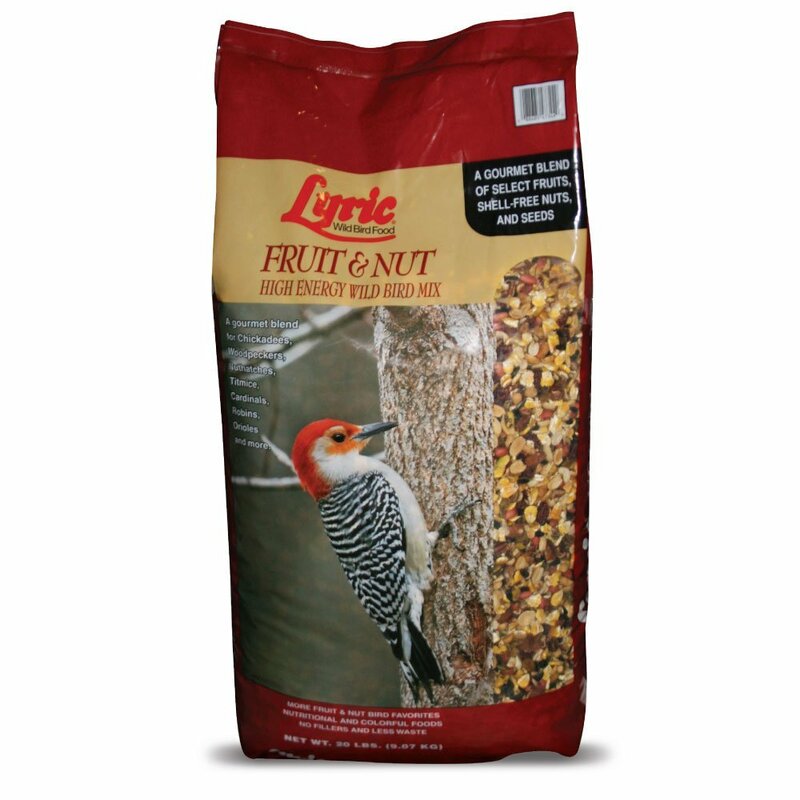 Lyric Fruit and Nut Mix brings together 13 components that address all of the nutritional needs of wild birds. The food consists of cranberries, cherries, resins,Valencia peanuts, shelled pumpkin seeds, pecans, cashews, sunflower seeds, steamed corn, almonds and several others. These ingredients are great for attracting bird species like robins, chickadees, blue jays, cardinals, cedar waxwings, towhees, nuthatches and several others. F.M. 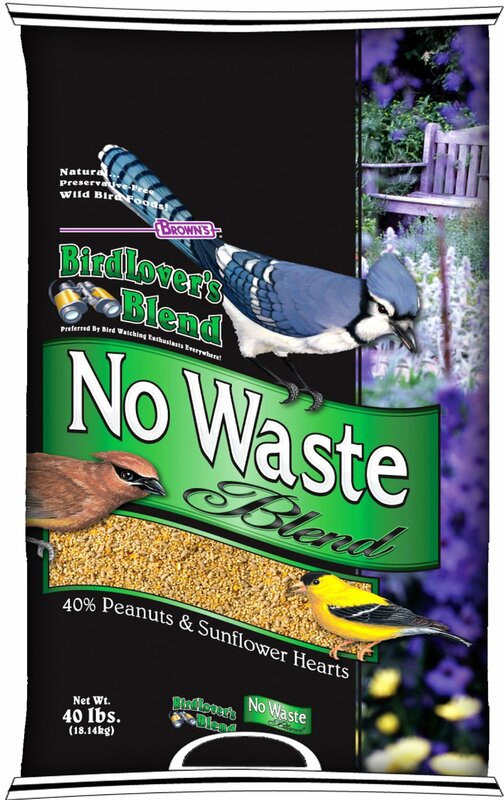 Brown’s Bird Lover No-Waste Blend is another bird feeder food that can be used to minimize the waste and the cleaning. Peanuts and shelled sunflower seeds make up 40 percent of the mix. Since these are favorites of many bird species, the mix can be used to attract diverse range of feathered creatures to the backyard. Cracked corn and white proso millet are also included in the formula. This is a 40-pound bag that gives you a lot of food for the money spent on the purchase. If you’re into budget-friendly bird watching activities, this food will be an ideal pick for you.